The 2014 harvest has been completed. Despite the broken weather pattern in August, the harvest progressed at a steady pace which facilitated the harvesting of grain at generally lower moisture contents than normal. Average moisture contents we have seen are in the region of 15-18% with 16.5% being the average across the entire harvest period. Grain quality in general is excellent this year with high hectolitre weights across almost all crops (the exception being some of the earlier winter barley 6 row varieties). Green grain mould counts which were low (<10,000 cfu/g) in winter barley crops, were seen to rise in the later harvested crops as the broken weather in August developed. That said crops were quite clean this year and sample analysis to date indicates excellent preservation of Adesco treated grain in stores across the country. Analysis of mould and mycotoxin presence is ongoing and will be reported separately. 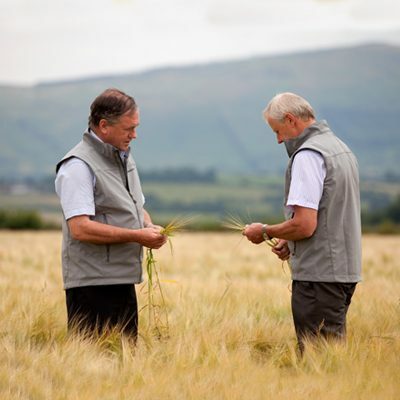 Provisional figures released by Teagasc on 26th August suggest an overall cereal harvest of over 2.4 million tonnes which is over 100,000 tonnes more than 2013. Later harvest crops saw some lodging losses so not all of this increase may be realised when the final figures are known. Estimates differ (IFA,grain market updates and Teagasc estimates) but in excess of 100,000 tonnes more winter barley was produced in 2014. This was offset by lower spring crop volumes to result in little difference in total barley volume. Wheat volumes are significantly head of 2013 accounting for the majority of the total harvest increase. Unlike the 2012/2013 planting season, 2013/2014 saw a return to normal levels of winter wheat planting with its resultant higher yields in comparison to spring crops. Winter: There was a lot of variability in the earlier harvest crops with more consistency emerging around an average yield of 3.75t/ac as the harvest progressed. Quality of the winter crop was reasonable with average Hectolitre weights (KPH) of 64-68 KPH being reported in both the early and later harvested crops. Spring: Spring Barley yields were good with average values of >3.0t/ac being reported and some growers achieving over 3.5t/ac. The later harvest crops suffered some yield reduction due to lodging in localised areas but in general yield and quality was high with KPH values in the mid to high 60’s. Winter: Winter wheat yields were very good this year with an average of 4.0t/ac being reported and many growers achieving close to 5t/ac. 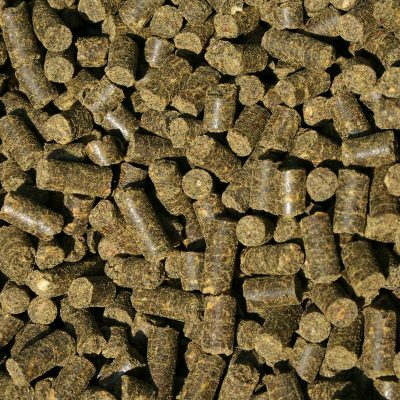 Grain quality is excellent in general with KPH values of 76-78 being widely reported. Spring: Spring wheat is similar in quality to that of winter wheat despite the poorer harvest conditions and yield have held up well averaging between 3.0 and 3.5t/ac. Barley: Winter Barley yielded an average of 3.0 t/ac and a national average specific grain weight of 65 KPH. The yield is well ahead of the 10 year average values while average moisture content was as low as 14% across the country. Spring barley at 2.5t/ac was higher than normal with KPH values of 63 on average. Wheat:Yields averaged 3.5t/ac which is up 8% on the 10 year average values. Quality is very good averaging 76 KPH with moistures of 17% average. Protein values are 12% on average. 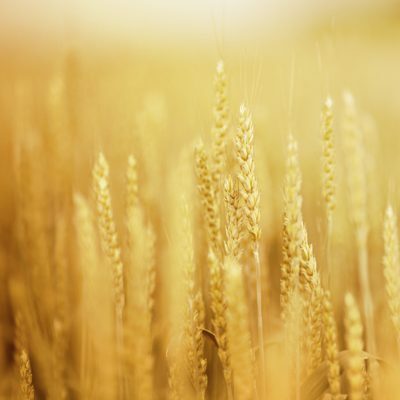 The Ukrainian Ministry of Development and Trade forecast on the 31st July, that wheat production would total 20.48 million tonnes with barley forecast at 7.32 million tonnes for this year. The Ukrainian Grain Association reported that on the 5th September a total of 24.4 and 9.2 million tonnes of wheat and barley respectively had been harvested. Despite this increase in production exports are expected to be maintained similar to 2013 levels. The USDA predictions in September has revised global wheat production upwards by 3.86 million tonnes. 2 million tonnes of which arises from the Ukrainian increases as noted above. Global maize production is predicted to increase by 2 million tonnes (0.2%). This is composed of forecast reductions in some Asian, South American and European production being offset by significant (2.6%) increases in US yields. It remains to be seen how harvest conditions globally will impact the net increase or decrease in supplies.